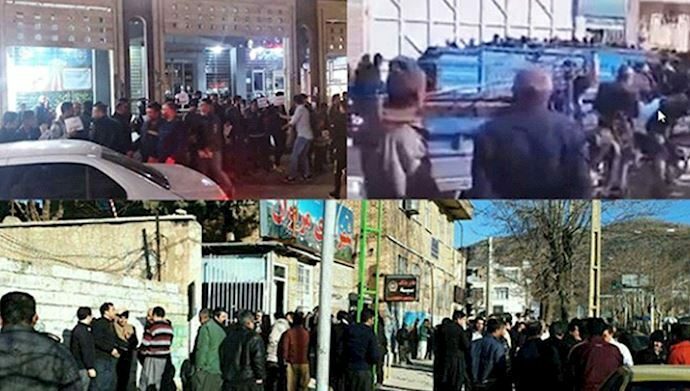 Protests continue in 2019 across Iran- MEK activists record strikes in Marivan, Lordegan, and Abadan over unpaid wages, corruption and regime’s repressive measure against the workers, farmers, etc. The end of the mullahs’ rule in Iran would have instant ramifications on the wider Middle East region and across the globe. The demise of the clerical regime would, almost overnight, make the Middle East a more stable place. The regime’s malign activities have significantly contributed to instability and conflict in the region. It has funneled finances to militia and terrorist groups in Syria, Lebanon, Gaza, Yemen, and Iraq. It’s Islamic Revolution Guard Corps (IRGC) and Quds Forces also play an active role in the domestic conflicts playing out in the region. It will come as welcome news to Secretary Pompeo, that the Iranian regime finds itself in an increasingly untenable position at home. Iran has entered its second year of nationwide uprisings, driven by widespread poverty and economic collapse. More than 33% of the Iranian population now lives below the absolute poverty line, and close to 5 million people are struggling to put food on the table each day. In this economic climate, it comes as little surprise that 4.5 million Iranians have turned to drugs to escape their suffering. In addition, 7 million underage workers are working in the Iranian economy to support their family’s income. Renewed US sanctions have battered Iranian oil exports, which are now approaching zero. Iran’s currency is in freefall and has declined threefold in the past twelve months. Factories across the country are closing, hundreds of thousands of workers have lost their jobs, and the economy is on the brink of collapse. In the midst of this economic catastrophe, the regime’s leadership is squabbling and fighting. 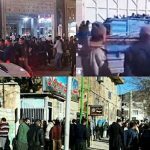 The Supreme Leader Khamenei is ill and there is much discussion within the regime about what course of action will occur in the event of his death. Different elements within the regime have different choices for who should succeed Khamenei. There is no single unifying figure except the Supreme Leader, putting the regime in a vulnerable situation. As sanctions tighten, there are indications that infighting is increasing, particularly surrounding the issue of how Iran should respond. Following the US withdrawal of the Iranian nuclear deal, the regime attempted to deepen ties with Europe. This has not succeeded. Then Tehran attempted to court Russia and China but given the exodus of Asian and Russian companies from Iranian markets, there are signs that this too has failed. The regime is also losing ground in Iraq, Syria, and Yemen. The regime has responded to these threats in the only way it knows how: through repression and censorship. It has launched a relentless disinformation campaign against the main Iranian opposition group, the People’s Mojahedin Organisation of Iran (MEK). However, its results have been limited. The MEK continues to enjoy the support of the Iranian people, as well as many international governments. The regime tried to block access to Iran’s social media and messaging services. This has also proved ineffective as the Iranian public has proven adept at circumventing the digital obstructions. Over the last twelve months, the regime has seen its power erode and its grip on Iran weaken. As the Iranian opposition and public gear up to make 2019 another year of intense protest, the regime’s future seems uncertain. Its current situation is untenable, and regime change in Iran is inevitable.